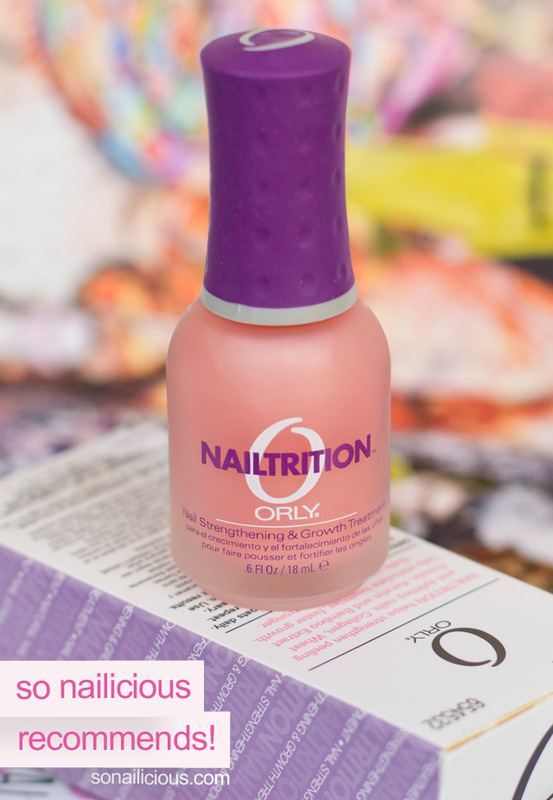 Orly Nailtrition Review - Grow your nails stronger! Two of the most common questions we’re asked all the time “How to make my nails stronger?” and “How to make my nails grow longer?”. The answer is always the same “Start using Orly Nailtrition religiously”. Why? Simply because out of numerous nail strengthening products we’ve tried Orly Nailtrition is the one that solves both dilemmas quickly and efficiently. It just works wonders! Also, Orly Nailtrition can be recommended for those who are trying to heal/grow damaged nails, for instance after acrylic nails or shellac. Want to know more? Read full review below! Orly Nailtrition helps strengthen peeling and splitting nails. Collagen, Wheat Protein, Keratin and Bamboo Extract help stimulate healthier, faster growth. Nails grow longer and stronger. Very easy to use. Apply 1-2 coats daily for a week. At the end of week, remove. Repeat for at least 3 weeks. Otherwise, simply use it as a base (2 coats) before applying nail colour for a month or longer if you wish. Easy to apply thanks to a signature Orly brush. In light pink shade with a subtle pearlescent finish, Nailtrition makes nails look natural and healthy without adding any polish-like gloss. It delivers nutrients straight to the nail plate and gradually makes your nails stronger while protecting them. Significant increase in nails elasticity and strength just after 2 weeks of continuous application. Particularly great for weak, dry and brittle nails that are prone to breaking. Makes your nails grow longer and much faster too! 5-Free formula, ie. it does not contain Dibutyl Phthalate (DBP), Formaldehyde, Toluene, Formaldehyde Resin and Camphor. 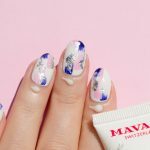 The latter is particularly important as a nail strengthener is a product that be would be applied on your ‘naked’ nails daily for weeks, months or even years. We would not recommend doing that using a product that contains any of the Big 3 or 5 chemicals (we’ll explain why in upcoming articles). Almost half of ingredients are natural extracts know for their nutritious qualities, for instance, calcium ferment, safflower seed oil, hydrolyzed wheat protein and collagen. Extra Notes: We strongly recommend to try Orly Nailtrition for at least 2 months to feel and see the difference. 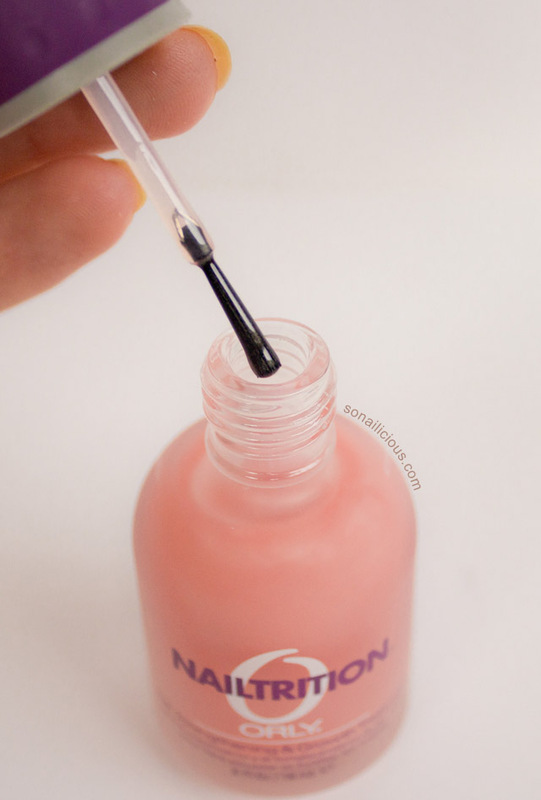 Underneath a nail colour or just as a ‘naked nails’ look, make sure Nailtrition is always on your nails during that period. SoNailicious Recommends. Moreover, if we were to give any nail care product 10 out of 10, that would be Orly Nailtrition! Availability: US$12.00 here or here; in Australia – $9.95 here for 9ml or in selected pharmacies. So guys, what are your thoughts about Orly Nailtrition? Have you tried it before? Or, are you keen to invest in this one? Then stick around! Subscribe to SoNailicious Newsletter here to get our weekly email updates with the latest nail news.